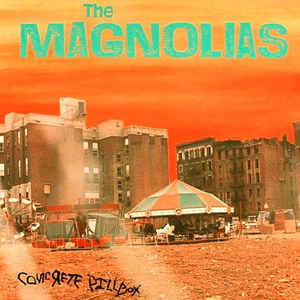 Coming from the same Minneapolis scene that birthed Hüsker Dü, The Replacements and Soul Asylum, The Magnolias sounded like a band that came from the same Minneapolis scene that birthed Hüsker Dü. The Replacements and Soul Asylum. Hell, their debut album — Concrete Pillbox — was even produced by Grant Hart. And while, as an album, I prefer 1992’s more polished Off The Hook, — and haven’t heard any of the others — the last song on Concrete Pillbox, “One More Reason,” is as pure of a distillation of noisy, melodic & bratty punk rock as came out in the mid-1980s.